In 2011, the Arcade Fire’s third LP, The Suburbs, won Album of the Year. Three times. Picking up a Grammy Award, a Juno Award and the Polaris Prize, The Suburbs cemented its status as a classic of modern rock. The music on the album wasn’t the only thing worth paying attention to, however. The cover art, which depicts the image of a city suburb as seen through a grainy windshield, is about to get some love of its own. This weekend, fans can see the evolution of the album’s artwork at the Art POP exhibit The Art of The Suburbs. Artists Caroline Robert, Vincent Morisset and Gabriel Jones have put together an exhibition of sketches, images and inspirations from the band that set the visual tone for the album. “[The Arcade Fire] are really good curators, in a way, because they leave enough room for us to kind of evolve, experiment and work, but at the same time they have the idea of what they want,” said Morisset. The spectrum of multimedia content created for the latest album gives audiences the tools to fully submerge into the feeling of coming of age in the urban sprawl. From m4a tracks with individual imagery that links to things like a Neil Young riff that inspired the band, the exhibit is yet another entry into the music. “[Win Butler] grew up in the Houston suburbs—he and his brother—and Régine grew up in Longueuil, so they all grew up in the suburbs,” said Grammy Award-winning designer Robert. The idea of having multiple covers stuck as the imagery started to take shape, however. Morisset and Robert did countless tests to achieve that cinematic quality. Setting up at Morisset’s mother’s place in Châteauguay, QC, the duo put the projector on top of her car and tried out different compositions of the shot. When the ideas became fully-fledged, Morisset teamed up with Jones, a celebrated photographer, and took to the ‘burbs. 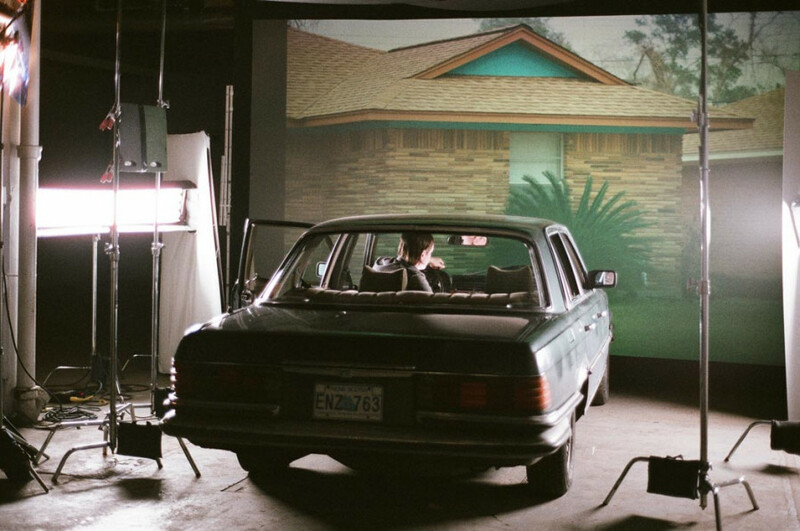 “Gabriel and I went to the streets of the Houston suburbs and we just took a bunch of images… We brought those images back to Montreal and set it up again with the screen and the car,” said Morisset. Despite being an online content pioneer, Morisset said that the exhibit is something worth seeing in person. The Art of The Suburbs / Sept. 21 to Sept. 23 / Nomad Industries (129 Van Horne Ave.) / 2:00 p.m. to 7:00 p.m. Vernissage / Sept. 20 / 6:00 p.m. to 9:00 p.m.